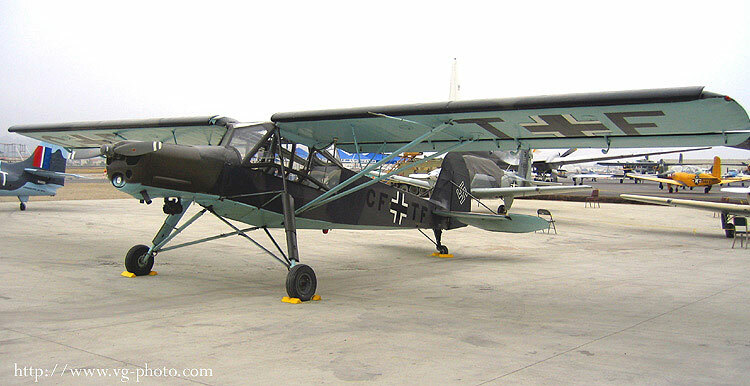 This is the Fiesler Fi-156C Storch. 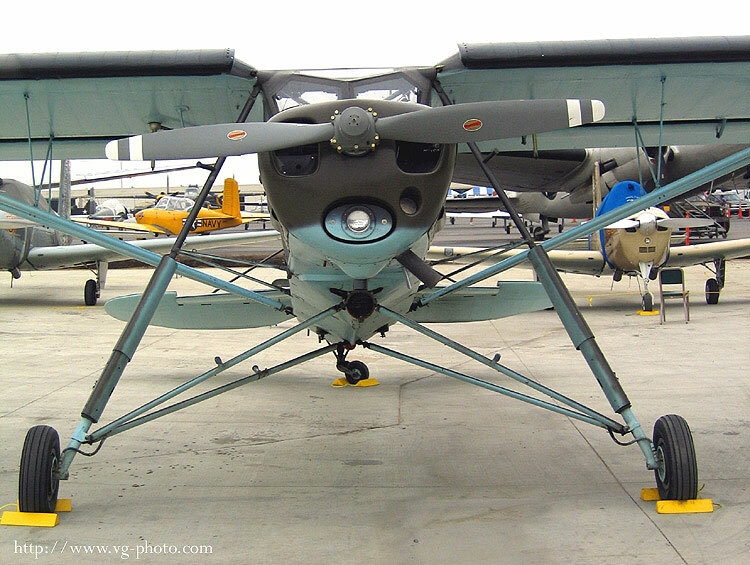 It was built by Moraine Saulnier in France under license in 1944. This airplane is quite something to see fly, as it has a very low stall speed and can take off in less than 200 feet at 25 MPH! 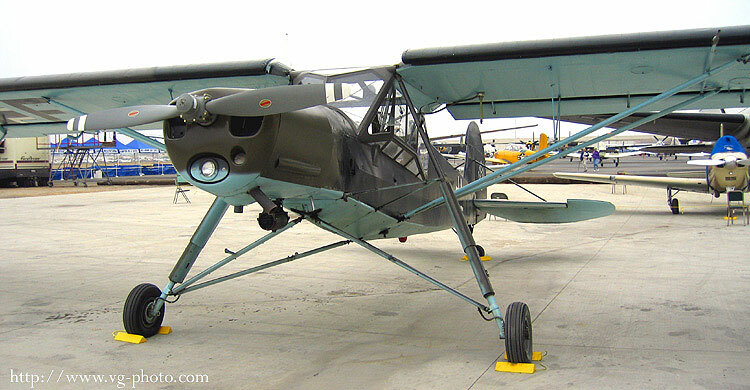 In Luftwaffe and Wehrmacht service, it was used for artillery spotting, reconnaissance and an air ambulance.